(TibetanReview.net, Nov06, 2014) – China’s anti-corruption effort has been broadened, in the case of Tibet Autonomous Region (TAR), to punish officials who are adjudged as supporters of Tibet’s exiled spiritual leader, the Dalai Lama. “Some officials have failed to take a firm political stand and some grass-root officials in the region were found to have serious corruption issues,” China’s international party mouthpiece Global Times Nov 5 quoted Ye Dongsong, head of the Tibet inspection team of the CPC Central Commission for Discipline Inspection (CCDI), as saying. The report said Ye had called on the TAR government to focus on neutralizing separatists and maintaining social stability, crack down on corruption and strictly monitor projects in the region. The TAR authorities were, in turn, reported to have pledged to punish officials who follow the Dalai Lama and support activities of splitting the country, after receiving feedback from the inspection team on Nov 3. In particular, Chen Quanguo, Party chief of the TAR, has said that the anti-separatism campaign should be strengthened and will severely punish those officials who are more concerned with their personal welfare, or those who still want to follow the Dalai Lama group or support separatism. Also, Reuters Nov 4 cited Chen as vowing in a front page Tibet Daily article Nov 5 that party members in Tibet who “harbor fantasies” about the Dalai Lama would be severely punished. “As for cadres who harbor fantasies about the 14th Dalai Group, follow the Dalai Group, participate in supporting separatist infiltration sabotage activities, (they will be) strictly and severely punished according to the law and party disciplinary measures,” he was quoted a saying in the regional party mouthpiece article. 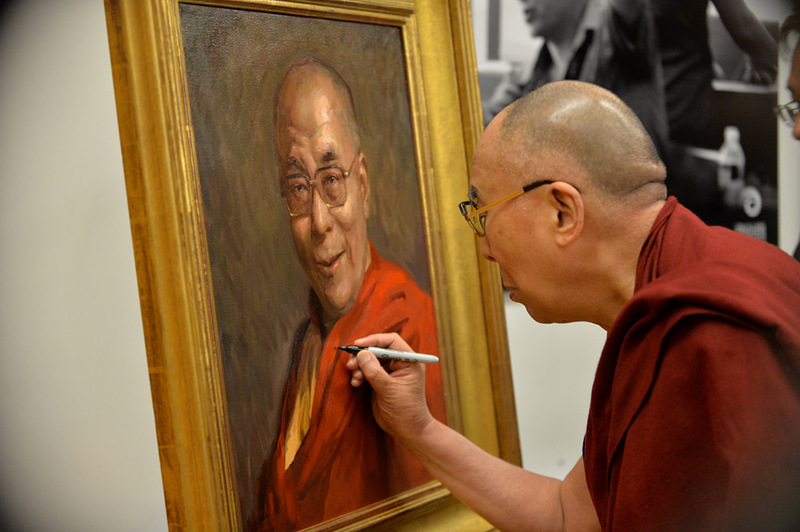 The Global Times report cited Xiong Kunxin, a professor with the Minzu University of China in Beijing, as saying some officials in Tibet still sympathized with the Dalai Lama, continued to support him out of their religious beliefs, and should not be tolerated. He wanted people to be encouraged to report on such allegedly dangerous trend among officials. Since Jul, 13 this year, inspection teams were dispatched by the central discipline inspection agency to 10 regions, including the TAR, Zhejiang, Sichuan and Jiangsu, to weed out corruption and close loopholes in Party and government work, the report added. Wrapping up the second round of two-month inspections which covered the 10 provinces, the Central Commission for Discipline Inspection has said it found that some cadres had converted to religion. The inspection teams further said that in TAR and Qinghai some officials did not take a firm stand against “separatism” and the local government should ramp up efforts to maintain stability, reported scmp.com Nov 5.